Before Vahid Halihodzic was appointed as the coach of Algeria, he was in charge of Ivory Coast where he enjoyed a fairly successful campaign with the team of Didier Drogba as they went through a 2 year unbeaten run in qualifiers and reached the 2010 Africa Cup of Nations but things took huge twist when playing against Algeria in the quarter finals stages of this competition, they lost in extra time. This was a huge disappointment for Ivory Coast as they were favorites on going all the way and lifting the trophy. This defeat ultimately led to Halihodzic being sacked. Algerian goalkeeper Faouzi Chaouchi was recently accused of assaulting the referee in a recent match for his club, MC Alger. They were defeated by USMA in the Algeria Cup and it is thought that Chaouchi took his frustration out on the referee for perceiving that the official had not been fair in the match. The 29-year-old was given a two-year suspension from playing football by the Algerian football Federation, but his case has now been reviewed by the committee and the 29-year-old will miss only one year of football. Brazil legend Pele is of the opinion that African team Algeria can become one of the surprise candidates at the World Cup 2014. Pele will be travelling to Algeria as an ambassador in the next few weeks. Ahead of this trip, he has been speaking about the possibility of one of the African teams doing well in a major tournament. In the last few years, African teams have come a long way, but none of them have not put a serious challenge for the World Cup up until now. Ghana have reached the quarter-finals of the competition, but apart from that, they have been poor. Algeria’s national team manager Vahid Halilhodzic burst into tears when the nation qualified for the World Cup 2014. He is normally not known as a manager to show his emotions, but he has stated that his current job is the most intense he has experienced. Hence, he could not control the tears that came out as a result of the nation achieving this dream. Halilhodzic said in an interview later that the tears were a mixture of joy and pride. He says that the World Cup is the prestigious tournament for any manager involved in the game and to be taking part in it is very special for him. The Algerian football Federation has revealed that Vahid Halilhodzic will remain as the national team manager in order to help the team do well at the 2014 World Cup. 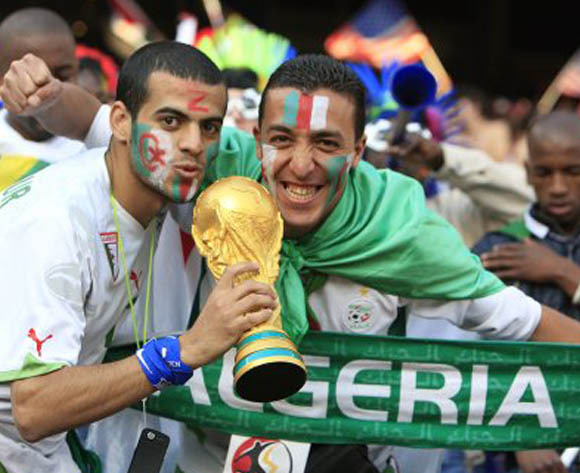 Algeria are one of the nations to have qualified from the African continent. They have been joined by the likes of Cameroon, Ghana, Nigeria, and Ivory Coast as the African representatives. They have been put together in the group containing Belgium, South Korea, and Russia. On the paper, this is a relatively easy group to qualify for and the hopes will be high of the African nation. Algeria managed to qualify for the FIFA World Cup 2014 after managing to overcome Burkina Faso in the play-off round. Algeria were coming into the second leg play-off trailing the tie 3-2 on aggregate. 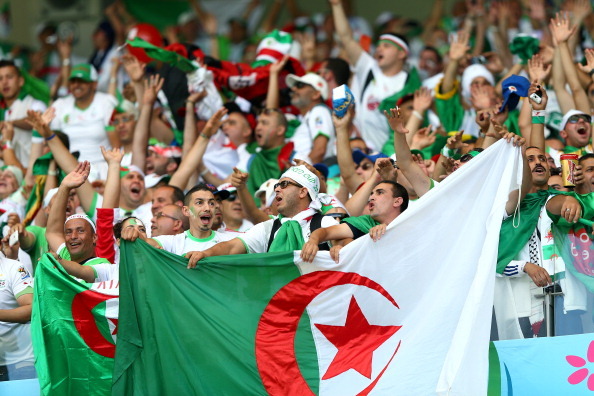 Algeria recently managed to put them on the verge of being in the World Cup 2014 after the 1-0 win over Mali. This result has meant that they will be finishing the group stages as the outright champions of their group. They have 15 points from the six matches played in the group stages. This is seven points ahead of the second placed Mali. After the match, Algeria’s manager Vahid Halilhodzic said that he is extremely delighted with the performance of his players. He has also expressed his confidence that Algeria will be at the 2014 World Cup. There have been many changes to the top clubs in the Premier League and it will be some time for their real impact to be seen. One thing that is likely to be different is the competition at the top. This year it could be that there are six clubs in contention for the Premier League title. Manchester City, Manchester united, Chelsea, Arsenal and Tottenham all have a chance and with betting odds of 2/1 on Chelsea through to 40/1 on Tottenham there are plenty of interesting betting opportunities to explore. Algerian striker Ishak Belfodil has joined Italian club Inter Milan for around US$ 13 million. The striker was at Parma last season where he made a huge impression by scoring eight goals in 33 matches for the club. He is expected to be at the forefront of the Inter Milan resurgence. The club, which won the Champions League in 2010, has suffered a number of problems in recent years. This coupled with an ageing squad has left new manager Walter Mazzarri with a lot of work to do ahead of the new season.